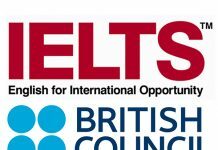 The Royal Institute of Management will be providing free IELTS tutorial class for candidates, registered for 19th May, 2016 exam with the IELTS Centre at RIM. Please note the following information with regard to tutorial. For further information, please contact Dorji Wangdi 17548580/351013/351014 OR Mr. Phurba 17761035/351013/351014 from 9 AM – 5 PM during office hours only.